I’m on my fourth or fifth year into my 30 year PAG-IBIG mortgage. The first three years, our unit was a dormitory for some students in the nearby college and my mom played landlady, paying the mortgage from the rental income. When I took over the mortgage, I was honestly too lazy to go all the way to the PAG-IBIG Makati office to tender PDCs for the next year and lining up monthly to remit my mortgage payment was also a no-no, besides, my PAG-IBIG statement of account always arrived late, if it even arrived at all. Some googling action revealed that yes, I can actually pay my PAG-IBIG mortgage online! Huzzah! Open your online banking account, I use Metrobankdirect. Pull up Pag-Ibig Fund (Individual) from the drop down menu and enter your payment reference number inside the Subscriber/Account No. field. Enter your mortgage payment. Click continue and you’re golden. If you don’t have a statement of account, or your statement of account is late as usual, head on over to the Housing Loan Verification page. You’ll get a soft copy of your statement of account. Login to your online banking account and refer to the first part of this tutorial. How easy is that right? Sure beats lining up month after month to pay bills. I swear, the person who invented online bills payment should get a Nobel Peace Prize and kudos to PAG-IBIG for thinking of the convenience of their customers. UPDATE: You can now get a copy of your Pag-ibig monthly billing statement through your email. In the Housing Loan Verification page, tick the box before “Check here to update Email Address for monthly billing statement.” And that’s that. Your monthly billing statement will be emailed to you. I used to have a Pag-ibig fund, but stopped a year ago when I moved to another job (if I want to continue, I need to pay voluntary). Anyway, may I ask what's their interest rate? I want to compare Pag-ibig vs our company's housing loan, to know if I should continue paying or not. This is a helpful post, Ate Jills! =) Thank youuuuuuuuuu! Can we also do this if we want to make pre-payments? Nakapag-issue na kc ako now ng PDC sa Pag-ibig, and online transfer lng ako sa checking account ko when the billing comes. I'm thinking na gawin ung online payment rin if pwdeng mag prepaid? =) Tnx, tnx much! God bless u more! I think that will work because your issued PDCs will cover the months indicated and the pre-payment will be considered as advanced payments on top of the PDCs. But I don't think that the pre-payment will be considered as extra payments to be applied to the principal, just advance payments. The first time I paid more than the mortgage, I paid my mortgage and then made another payment a few days later, thinking that the second payment will be considered as extra payment and credited to the principal. But the extra payment was treated as advance payment lang, credited to the following month. So now what I do is I make one payment monthly but add extra to my mortgage and that extra is automatically deducted from the principal. hi, miss jill clarify ko lang to di ko masyado ma gets….kung my monthly mortgage ako na 7,500 a month and I want to pay in advance for my principal balance like 20k what option I would do? Will I pay 27,500 at a time/one transaction? I am worried maybe they will just make it as advance payment. because I tried to ask at the pag-ibig facebook page they said that if I want to pay a principal balance I need to tell the teller that the excess payment would be placed to my principal balance so how could I do that in online payments using Metrobank? How could the online payment make the excess to my principal is there an option whatever? Kung yung monthly mortgage mo ay 7.5k at mag-aadvance payment ka ng 20k, yung sobra na 12.5k ay automatic na i-aapply sa principal balance mo kung magbabayad ka online sa Metrobank Direct. So kung 27.5k ang ibabayad mo, yung sobrang 20k naman yung iaapply sa principal balance mo. Nasa kontrata mo yan with Pag-ibig na ang mga extra payments ay ike-credit sa principal loan balance mo, kaya hindi na kelangan ng explanation o itawag pa sa Pag-ibig na iapply ito sa principal loan balance. Automatic yan. Thanks for the useful info. Does your bank (metrobank) charge you for this service? how much? Nope, no charge at all. It's considered as a bill payment, so it's just part of the online banking service. Hi there, Jill. This information is very useful. Do they still offer this service at Metrobank even now? Please let me know. Thanks in advance. Yup, Pag-ibig is one of Metrobank's regular merchants. Pag-ibig payment is treated just like a regular bill payment. Is Payment Reference No. in the billing statement fix? Or it keeps changing every month? I ask because my billing statement is not updated in Pagibig housing loan verification portal and wanted to pay online via Metrobank Direct. The payment reference number changes with every billing statement. 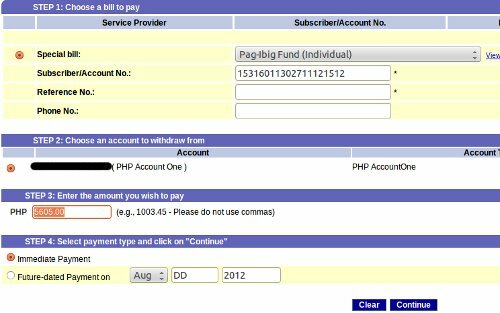 I find that I can access an updated copy of my billing statement on the Pag-ibig website every 19th or 20th of the month. Try checking out the website around that time too. Many thanks for your quick response. I'll try checking again with provided dates. Cheers. I don't have a PAG-ibig loan yet, but we're considering it when we build our house. So it's nice to know I can actually do it online. This is cool… Great help. I would like to inquire what if i'll be paying the MONTHLY SAVINGS (not Housing Loan as illustrated above), what will i input in the "Subscriber/Account No." entry? I don't know, sorry! Please direct your question directly to PAG-IBIG. Magstart pa lang po ako ng monthly amortization ko sa March 2014 pero plano ko po sana magbayad thru online. 1. May permanent date po ba ung monthly payment sa pagibig (like i have to pay every 1st or 2nd of the month)? 2. If I need to pay my monthly amortization every 1st of the month when do I need to make may online payment sa metrobank? 3. After paying online how many days po before mareceive ng pagibig ang payment ko? sabi kasi ng pagibig it will take 3-4 weeks before my payment will be posted kung thru online ako magbabayad. Worried po ako na baka macharge ako ng penalty. Sorry po dami ko questions. Sana po you could help me with some information. Hello! Regarding the date of payment, I find that the payment due date is pretty much fixed every month (i.e. every 30th of the month). As for when to pay, I usually pay about 3-5 working days before the due date and my payment is always reflected in the next statement of account with no penalty charge. I really don't think it will take 3-4 weeks before your payment will be posted, that's just insane. Does this on-line transaction apply to a lump-some payment as well? I'm planning to pay the remaining balance of house loan in full. Any suggestions will help thanks. Yes, it should also apply to lumpsum payments as well, because any excess payment made on top of the monthly amortization is credited to the outstanding balance. If you take a look at the Payment Reference Number, you'll see that the Housing Loan Account Number (HLAN) is already included there, that's why there's no need to input the HLAN in the reference box when paying online using Metrobank Direct. I actually did what you said the first time I tried to pay online and received an error message. I called the Metrobank Direct hotline and was told to do what I outlined in my tutorial. Oh i see…. Thanks very much! This is truly helpful. I stumbled upon your blog through google search and i'm amazed at how nice it is. I'm excited to check your other articles. Hi Jill, Thank you for this very useful information. Would you know if there is other bank that has online pagibig payment facility? I only use BPI as of now. Meron po bang online payment para sa pag-ibig housing loan ang landbank? Sa pagkakaalam ko, wala pa ring online payment ang Landbank for Pag-ibig Housing Loan. 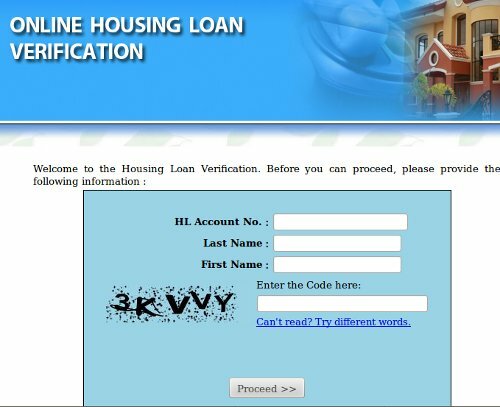 Metrobank lang ang merong online payment function para sa Pagi-ibig housing loan. If you pay half of your housing loan, you can ask for a recomputation of your monthly dues and your payment period will also get shorter. I don't know if you can avail of a discount if you prepay though, but my guess is you won't be given a discount. Please call the Pag-ibig hotline (you can google the number) if you want an official answer and if you want to know where you can have your recomputation done. Thank you for sharing this online payment, it is really helpful for me as an OCW. Any idea how many days the payment will reflect to my PAG-IBIG account in payments online verification? Already paid my July mortgage 2 days ago. The payment will be reflected in your next statement of account. Thank you Jill, its a relief. I'm worried of the penalty. Hope PAG-IBIG follow what SSS is doing, 2 days you can see your payment update and your contribution. Again Jill Thank you very much! Do I need to register this as a new biller? I tried but I can't find on the drop down menu this Pag-Ibig Fund. No need to register as a new biller and it's not advisable anyway, since the payment reference number changes every month. I find that in order not to be charged with a late fee, I need to pay at least 3 business days before the due date. Once I paid on the due date itself and the payment was reflected in the following statement of account, together with a penalty. Ouch. The penalty was a minimal amount but I cringed because of my stupidity at waiting until the last moment to pay. Hi Jill, ano nman ang ilalagay sa Subscriber/Account No. field kapag yun monthly contribution mo lang sa pag-ibig. Hi, Jill. Completely off topic, but still related to PAG-IBIG. I ran into a few problems financially and still paying for the downpayment of the house and lot and I am looking to get a housing loan from PAG-IBIG. Is that possible? Even though the house/lot is not available thru PAG-IBIG financing? Do we have a workaround? Thanks in advance! Will appreciate your response. I endorsed your question to Joan De Venecia, Pag-ibig VP for Public Relations and Information Services Group and I'm pasting her complete answer below. Hope it helps! Hi Jill! Is this house and lot purchased from a developer? Can your friend clarify why it's not available through Pag-IBIG financing? If developer is not accredited by Pag-IBIG, this shouldn't be an obstacle to taking out a loan provided she is a member of Pag-IBIG. She can just go straight to us and apply and not through the developer. Thanks! If she lives in NCR, she can go to our office in Shaw Blvd near Nueve de Pebrero beside Hyundai dealership. We also have FAQs at our website http://www.pagibigfund.gov.ph – it's a very useful tool and some of her questions may already be answered there. She can also schedule her HL application interview date through our website so she doesn't have to wait long. Yun lang ang babayaran mo. Wala namang penalty ang Pag-ibig kung mabayaran mo ng maaga ang housing loan. Hi Jill… Gusto ko sana mgbayad ng 50k para sa principal amount ng housing loan ko. Pwede ba yun sa metrobank direct? Nung seminar kasi nabanggit nila na pwede yun sa main branch ng Pagibig, not sure if pwede na thru online. Hassle kasi if pupunta pa sa Main branch. TIA. Yes, you can make an extra 50k payment using your Metrobank Direct account. But to have the whole 50k credited to your outstanding balance, be sure to include the monthly mortgage as well because only the excess of the monthly mortgage will be treated as additional payment. For example, if your monthly mortgage is 5.5k, then you should pay 55.5k. Yes, your PDC will still be encashed but it will be treated as an advance payment to be credited for the following month's mortgage. Arrears ay yung mga nakalipas na mortgage payment na hindi pa nababayaran. I find that Pag-IBIG does not update the member's account with regularity. But if you can get a copy of your current statement of account, the outstanding balance is updated there. And Pag-IBIG does reply to emails, but it takes them a few days or 2-3 weeks to do so. Just hold tight and I'm sure they'll get back to you soon. how can i check my updated statement account? You can check your updated statement of account by opening an online account with Pag-ibig. You'll be able to access your current and past statements there. ANo po yung Online account ng pag ibig Mam ? Yup, yung extra payment na 42k will be applied sa principal amount. You can check your new outstanding balance in the nest statement of account. Yes. I used to pay an extra 5k a month towards my Pag-ibig mortgage and my principal did go down by 5.5k every month (5k = extra payment; 500p = from the actual mortgage). That's why I really like Pag-ibig, it's so easy to destroy the mortgage since you can make extra payments towards the principal without getting penalized, unlike with bank loans. Hi Jill, ask ko lang po. Is it ok to pay lesser than the monthly amortization? Like I have 25k monthly mortgage but this month I run short so will only pay 20k? Do you think it is still ok to use the reference number in the billing statement through metrobank direct? No, it's not ok to pay less than the monthly amortization, but I think you will still be able to pay your monthly due through Metrobank Direct. However, be prepared to be meted with a fine on your next billing statement for failing to pay the amortization in full. Hi Ms. Jill, I am just wondering when you were saying that you are paying extra amount aside from your monthly mortgage using Metrobank direct, does the online payment facility accept it? Let's say, monthly amortization mo is 10k and you want to pay 50k, is it ok to enter in the amount you wish to pay area: 50000? Sometimes kasi with online they are very specific with the amount indicated in the billing, even to the centavos. I am not sure lang with Metrobank Direct. Will it be credited and accepted? I've been paying extra for my mortgage every month using both online and over the counter payments and I've never had a problem. Pag-ibig really does encourage extra payments because unlike bank mortgages that penalize you for extra payments or forbid them outright, Pag-ibig applies the extra payment to the principal amount, effectively cutting down your payment period. Can you advise me please. I want to finish paying my mortgage early, so I wanted to have it recomputed. Could you tell me how to request this from Pagibig. I worked abroad so it is my sister who is taking care of this for me. Also, is it a good idea, to pay extra to lessen the pricipal amount. 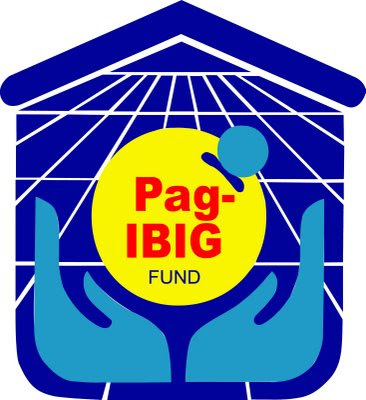 I am not sure how the recomputation of a pag-ibig mortgage works, but my best guess is to ask Pag-ibig directly through the hotlines, email or a Pag-ibig branch (http://www.pagibigfund.gov.ph/contacthdmf.aspx). Another way of paying off your mortgage early is to make extra payments on top of your mortgage, so yes I highly recommend paying extra because it goes directly to the principal amount. Even if you don't have your mortgage recomputed but you pay in excess of the monthly mortgage, all of the extra payments are credited to the principal amount so you will also end up paying off your mortgage early. Sa pagkakaalam ko, kung gusto mong baguhin yung housing loan term, magbabayad ka ng extra diretso sa pag-ibig tapos ire-recompute nila yung loan ng may mas maiksing term. This is very helpful. I will pay my housing loan via Metrobank direct starting this month. Anyways I have something to ask. I have paid my monthly mortgage of 7.1k for aug 2015 on july 31, 2015 higher than my actual mortgage which is only at 6.9k but unfortunately the due payment placed my the metrobank teller is on aug 31 2015 beyond my due date of aug 21 2015 (stupid of me for not checking i was so confident that she would just put aug 2015 because the other teller just place month and year)(I'm still paying via bank), so when my september billing arrived I had already some penalty. How do they compute for the penalty? Is it per day? Or until the next monthly due date? because I had just laps around 11 days including saturday and sunday. And my penalty was arround 110 php. Because on the September billing they email me they just inputed the whole payment due which would be, 6.9k (aug) + 110(aug penalty) 6.9k (sep)=13.91k. And I never receive any acknowledgement of my previous aug payment. Only that my last payment was on aug 31 for my sept monthly mortgage which is I paid separately. How can I check if for my previous aug payment.? I already emailed the pag-ibig customer service but unfortunately nobody replied. I am unable to call them because I am currently overseas. * Your extra mortgage payment of Php110 should have been deducted from your outstanding balance. It will not be used to offset the penalty for late payment, that's why you were still charged a penalty for the following billing cycle. *You did not receive any acknowledgment of your previous August payment because it was paid late, for all intents and purposes, since the bank mistakenly placed the wrong date. The acknowledgement of your August payment will be reflected in the October bill. So for the September bill, you only need to pay the current amount and disregard the August mortgage. Just want to ask, can I use the Payment Reference number twice? For example, my monthly is 10k and I will pay partial 5k and decided to pay the balance after few days…can I use the same payment reference number? I did this once. My monthly due was 5.6k so I paid that (5.6k) and paid an extra 5k a few days later, thinking of it as an extra payment that would be credited to my balance. But when the next month’s statement came, the extra 5k was credited to that month’s balance so my amount due was only 600p. So to answer your question, yes, you can use the same payment reference number more than once. But considering that you’ll be making a partial payment, my best guess is that only your first payment will be credited to the outstanding balance and the second will be treated as advance payment. You might be meted out a penalty for only paying partially. But again, this is just a guess on my part based on my own experience. I suggest that you call Pag-ibig for their official response. Hi Jill, I’m 2 months late already and my total bill this month is now around 20k. Can I pay 10k thru MetroBank Direct? I’m not so much concern with the fine but whether the partial payment will still be posted. I’m quite positive that Metrobank Direct will accept your partial payment because it does not limit payments received to the actual amount billed for the month. I’m just not sure if it will be considered towards the arrears or the following month’s due. But if I were to guess, I would say that it will be credited towards the arrears and the succeeding mortgage dues will just keep on coming. I think this calls for a transfer or assumption of mortgage. You should go to a Pag-ibig office for the proper procedure in doing this. Metrobank Direct is the online banking version of a regular Metrobank savings or checking account. So you will need to open either a savings or checking account with Metrobank and then enroll your account with their online banking facility (aka Metrobank Direct). Hi, Sorry not related sa Online Payment yung question ko. Kung may loan amount ako ng 1.9M for 20years then after 3years babayaran ko yung outstanding or principal amount in full, considered ba na completed na yung loan ko? Can you pay overdue PAG-IBIG bill online? Hmmm…I think you can still pay the bill online BUT the payment made will be reflected for the following month’s statement and you’ll already be meted with a penalty for the unpaid month. In effect, the next statement will show 2 months worth of due payment and your late payment will be considered as advance payment for the following month. I suggest that if you failed to pay for the current month, just wait for the following month’s statement and pay that statement instead. Hi, first monthly amortization ko housing loan ko and i want also to pre-pay the loan. Do i need to include any reference so they will know that some of is a pre pay? or is it better that i make 2 payments? one for the monthly and another for the prepay? You only need to make one payment per month (monthly payment + extra payment) and the extra payment will be automatically applied to your loan balance. For example, my monthly payment due is Php5,600 but I remit Php10,000 per month so the extra 4.4k is deducted from the loan balance. If you make 2 payments in one month, the second payment will be applied to the following month’s due. So it’s best to only make one payment per month and already include the extra payment there. Thanks Jill. First payment ko and until now d pa din napapadala sken Monthly Bill ko. Hindi ko din maaccess sa pagibig fund services un account nmen. Ngemail na din ako sa pagibig and until now wala pa din response. DO you think sufficient na un ilagay un Housing loan Account Number? ng check ako ng ibang monthly bill and the reference number is composed of 2 digit + housing loan account number + 6 digit. You need to use the Payment Reference Number when paying your Pag-ibig bill via Metrobankdirect. Please refer to my tutorial above for the details in paying online. Hi Jill. I’ll be my first time to pay my Pag-ibig bill online. Your sample only shows “Payment Reference No.” However, my Pag-ibig bill has two reference numbers, “Payment Reference No.” and “ATM Reference No.” Which of these numbers should I use when paying via Metrobankdirect? When I pay my Meralco bill online, it only accepts “ATM Reference No.” Would this be also the case for my Pag-ibig bill? You only need the Payment Reference No. when paying your Pag-ibig bill online. Please refer to my tutorial above for the steps in paying via Metrobankdirect. This is very useful. Thank you for sharing some details. I would like to clarify the process when i do pre-pay, my loan is Php850,000 and my monthly is Php7,200. If I pay more than 7,200 at SM Savemore, does the excess payment “automatically goes to my Outstanding Balance? or I need to go to main office pa to inform them or make some arrangements to automatically deduct excess to my OB? The excess payment is automatically credited to the outstanding balance. There’s no need to inform Pag-ibig about it and ask for the crediting to your outstanding balance. PAG NAG BAYAD PO BA NG HL Amort. mag babayad din ba sa Monhtly saving at the same time. what I mean is payment of HL and monthly sav is payed separately? Any Idea here? What do you mean by monthly saving? If you’re referring to the Pag-ibig monthly contribution then yes, you have to pay both the housing loan amortization and monthly contribution because they’re not the same. As far as I know, only Metrobank and Landbank are the banks accredited to receive Pag-ibig payments. And of the two, only Metrobank accepts online payment for Pag-ibig (http://www.pagibigfund.gov.ph/payments/paymentfacilities.html). Assuming that your outstanding balance is 400,000 and your monthly due is 5,000, then you decide to make an advance payment of 100,000, 5,000 of the 100,000 will go towards the monthly due and then 95,000 towards the outstanding balance. Your outstanding balance will be about 305,000 or probably even less because part of the monthly due goes towards the outstanding balance. Your monthly interest isn’t affected but your payment term is considerably shortened so you end up paying less interest in the long run. My query is along this line because I’ve been paying in excess of our monthly amortization (say 4,800) tapos nagbabayad ako ng 5,000… Pero I noticed upon checking the PAG-IBIG Bill that only around 3,500 is being deducted from my principal balance. I’ve accounted all payments made in 2018, the total payment was P 60,000 but when I checked the outstanding balance, around P30,000 lang ang nadeduct. Why is that? Of the monthly mortgage paid, a part goes to interest payment, another part goes towards property insurance and another part goes towards the outstanding loan balance. The mortgage payments are not credited 100% towards the loan balance. Towards the start of your loan, a bigger chunk of your mortgage payment is paid towards the interest and then with time, the allocation for interest becomes smaller and more is allocated towards the outstanding loan balance. It would be best if you address your questions directly to Pag-ibig. From experience, they answer right away with a very detailed response pa. I’m sure you’ll get all of your questions answered. Hi Jill. I’m working overseas and don’t have a Philippine bank account. I’m curious to know if I can pay the mortgage for the first two years via online. Is it mandatory to pay with post-dated check monthly? What would be the best alternative. Thanks for the tips and looking forward to reading the posts (old and new). I highly recommend paying online using Metrobank Direct because of its convenience. I’m assuming though that for the first year of your housing loan, Pag-ibig will require or encourage you to issue PDCs to secure payment. I remember that part of the requirements then for the approval of my Pag-ibig housing loan was the issuance of 12 PDCs. But once those PDCs run out, you can pay monthly over the counter through accredited banks, Bayad Center, or online through Metrobank Direct. Hi Ms Jill. Good day po! 🙂 ask ko lang po kasi may arrears ako sa monthly HL ko. okay lang po kaya na magbayad ako thru metrobank direct tas gagamitin ko yung reference number sa SOA? And also, okay lang din po kaya for ex. 10k yung nasa SOA pero 5k lang muna pay ko? is it possible po kaya? thanks po 🙂 godbless! Sa pagkakaalam ko, kung may arrears ka, lalabas din Yun say current statement of account para mabayaran mo siya ng buo. Tapos kung hindi mo mabayaran in full, ma carry over ang balance plus the next month’s amort and interest sa susunod na statement of account. I’m not sure though how long you can do this because I think after 3 consecutive months of failing to pay the monthly due, pagibig will take steps to foreclose your mortgage. Best thing to do is to email pagibig or go to one of their offices and ask them about the available options if may arrears ka or if you’re unable to pay the mortgage in full. lahat ng comments binasa ko simula una at halos lahat ng tanong ko nasagot mo na sa po mga nagcommet. pero gusto ko pa din maclear. Sabi mo po, yung excess payment mapupunta sa Principal or Outstanding balance, pero may nabasa din ako na yung advance payment mapupunta sa next billing statement. medyo confuse ako sa part na yun. let say 5,600 monthly payment mo, 10K ibinayad mo na, ung 4.4K mapupunta sa Principal balance, pero ang sabi mo din nangyari sa’yo na nagbayad ka ng 5.6K at extra 5K at yung next statement mo naging 600php na lang amount due mo, so hindi sya pumasok sa Prinicipal/Outstanding balance mo yung extra 5K ? may metrobank direct din kasi ako at 1st time ko nagbayad ngayon, due date ko december 29, 2017 pa. nakita ko kasi yung tutorial mo and i did naman. check ko next month kung ok yung naging payment ko. Kasi gusto ko din maapply yung advance payment para mabawasan ng mabilis yung principal amount at mabawasan yung years of payment since 10years ang loan term ko. kung kakayanin naman mapabilis ang pagbabayad. That’s why I really like Pag-ibig, it’s so easy to destroy the mortgage since you can make extra payments towards the principal without getting penalized, unlike with bank loans. Halimbawa yung monthly mortgage mo ay 5,000p. Kung nagbayad ka ng 10,000p ng isang bagsakan, 5,000p ay mapupunta sa mortgage payment tapos ang sobrang 5,000p ay mababawas sa Principal or Outstanding Balance. Heto ang excess payment. Pero kung nagbayad ka ng 5,000p tapos isa pang 5,000p pagkatapos ng ilang araw (meaning dalawang beses kang naghulog ng bayad sa isang buwan), yung unang 5,000p ay pambayad ng mortgage para sa buwang yon at yung pangalawang 5,000p ay magiging advance payment para sa susunod na buwan. Hindi ito considered na excess payment. At ok nga ang pagbayad ng extra para mas madaling matapos ang loan payment term. Malaki talaga ang matitipid sa interest payments kung magbabayad ng extra. Sobrang helpful to. Just a quick question. Nareceive ko now yung 1st monthly amortization ko and tried metrobank direct. Entered the payment refernce number but I get an error saying “invalid reference number”. I even tried the the other refernce number but same error. Any idea why? Thanks. Did you place the Payment Reference Number in the space for Subscriber/Account No.? If you followed my tutorial but still got an error message, I suggest calling Metrobank at 8700-700 and ask for help from their CSR because I just follow the steps I laid out in the tutorial and have no idea why it didn’t work for you. Hi Jill, is it possible to pay in full the remaining balance of my pagibig housing loan? How can I do that and what are the procedures? Thanks! Yup, you can definitely pay off the remaining balance in full. Refer to the part in the statement where the remaining balance is indicated and pay that whole amount either using your Metrobank account or over the counter in the affiliate banks. The next statement of account should indicate that there is no more remaining balance then after a few months, you should contact Pag-ibig for the release of your certificate of title with the cancelled mortgage lien. Good day to you Jill, i hope you can elighten us regarding our problem. 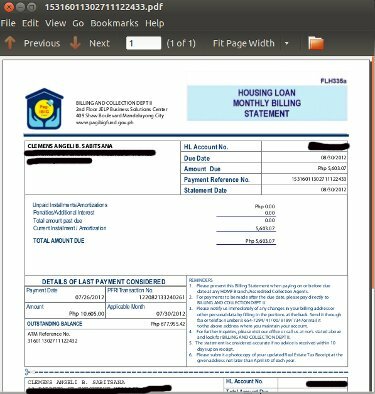 Oir pag-ibig housing loan has been approved and ready for take-out. Infact, our 2st mnthly amort is due on march 19 the problem is we cant get post dated check in the bank. would pag-ibig allow us for other payment options? we cant think of any alternative solution. Appreciate your feedback. Thank you very much! I’m not sure I understand your question. The bank is not the one that gives you post-dated checks. You open a checking account with the bank and then you issue the post-dated checks to Pag-ibig. I remember that I also issued post-dated checks for my first year of mortgage with Pag-ibig since I think that that’s one of the requirements for the loan. When my checks ran out, I paid my mortgage monthly through my Metrobank online account. If you don’t have a checking account, maybe you can ask Pag-ibig if you can settle your mortgage on a monthly basis. ask ko lang kung delay na ko ng 3 months. pwede bang 1 month muna? Mas mabuti kung sa Pag-ibig ka na magtanong kasi hindi ko alam ang sagot sa tanong mo. Many thanks for the tutorial ! works very well for me. Jill, effective Sep 2018 all EXCESS payment thru any agent bank will be treated by default as Advance payment only (R) So, if you want the excess payment to pay the principal (P) need to send information thru e-mail at the office with the attached receipt, as proof. FYI lang. YUNG payment po thru metrobankdirrect online for monthly amort. is still applicable for nowadays? May na basa po kc ako sa iba na updated? or current accounts only lang? Pwede magbayad through Metrobank online for both updated and past due housing loan accounts. Pero kapag past due na yung account na binayaran sa Metrobank online, ma-credit na yung bayad sa next billing statement.